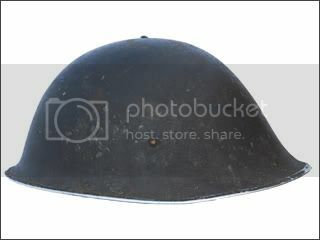 Introduced in 1916 this helmet was made from non-magnetic manganese steel. 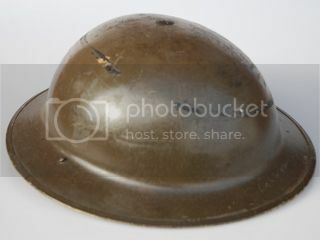 These helmets were produced between September 1915 and February 1919. 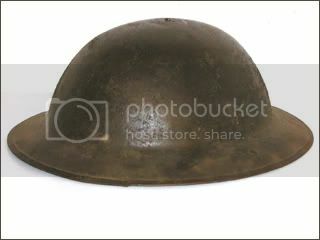 Based on the World War I-designed Mark I, the helmet liner and chinstrap were updated in 1938. 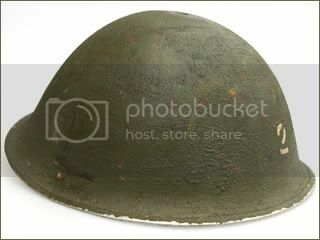 Between 1938 and 1944 about 12million MkII helmets were produced in the United Kingdom and throughout the Commonwealth. This example is dated 1939 and features the earliest pattern of MkII liners. 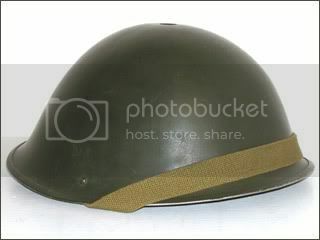 Based on the design of the German M38, this helmet features a canvas chinstrap and special padded liner. 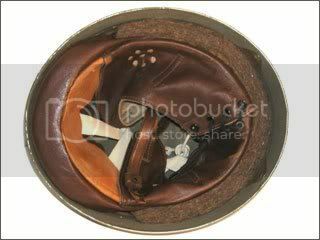 The shell was also used by dispatch riders and tank personnel during and after World War II. 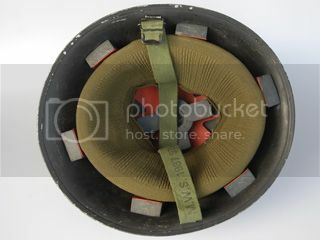 This model paratrooper helmet remained in service until the 1980s when it was replaced by the MkIV Kevlar helmet. 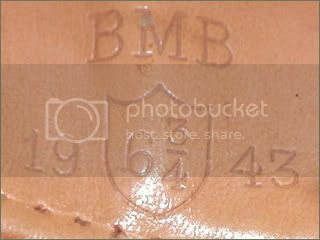 This example is dated 1943, and has the BMB maker stamp. 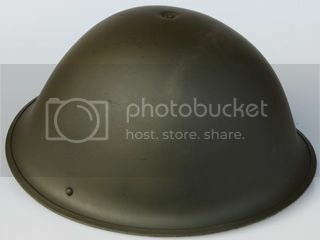 The MkII paratrooper helmet shell was also used for dispatch riders during and after World War II. It was introduced in 1942 and features a front pad and leader neck flap that forms a double chinstrap. 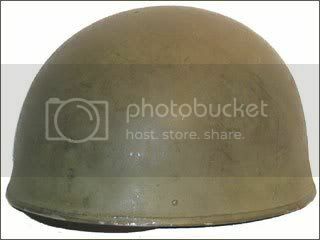 Introduced in 1944, the MkIII was first conceived in 1941 but war demands made production of a new helmet impossible. The MkIII was mainly used by Canadian troops at first and made its debut in combat during the D-Day landings. 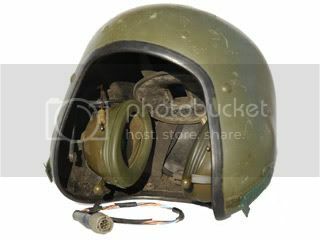 Only some 500,000 MkIII helmets were produced before the helmet was upgraded to the MkIV. 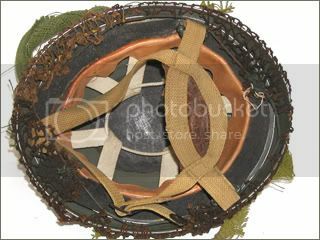 The helmet features a single screw and nut that hold in the liner from the dome of the helmet. 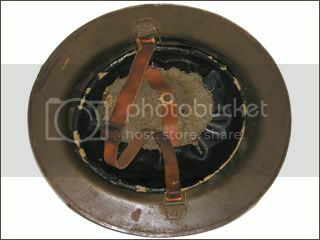 Introduced in 1945, this pattern features the �lift the dot� liner that allows the helmet to remain water-tight (for use as a wash basin in the field, etc.). 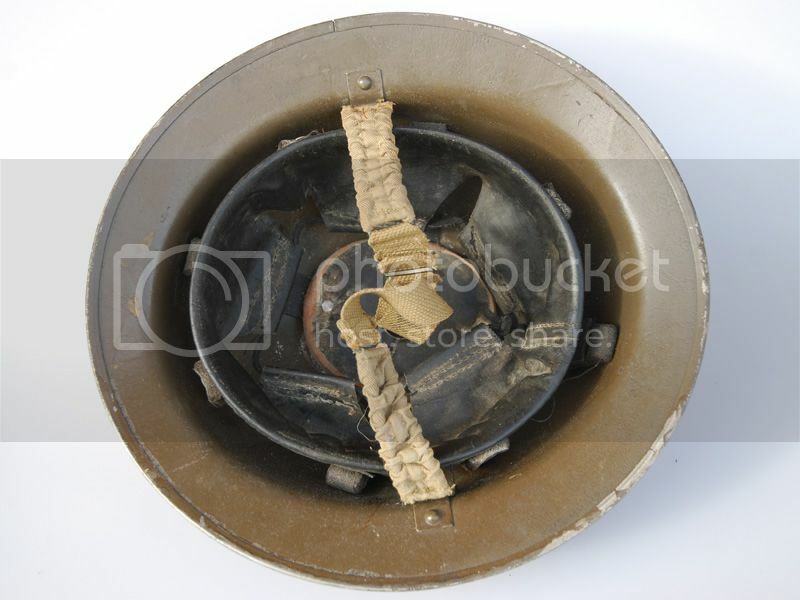 This helmet is an early production MkIV and is dated 1945 when the MkIII without the removal liner were replaced. The MkIV, in addition to being watertight (unlike the MkIII), also features lower D-rings for the chinstrap. This is noticeable from the outside of the helmet. 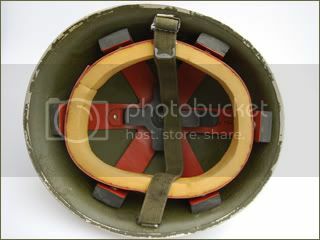 This helmet is the final pattern of the "Turtle Shell" pattern, and features the later synthetic "donut" style liner, which was used into the 1980s. 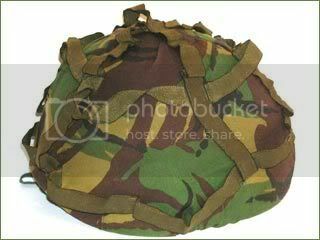 This helmet is the final pattern of the "Turtle Shell" pattern, and features the later MkV training style liner. 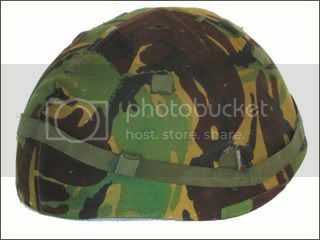 The Parachute Instructor helmet made by Helmet Limits was first introduced in 1971. 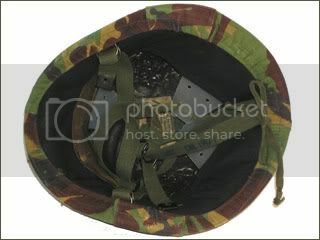 The 1976 introduced British AFV tank helmet, still in limited use today. 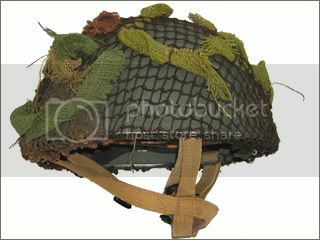 Introduced in the 1980s, this helmet is made from a number of plies of woven high strength nylon texile bonded with plastic resin. 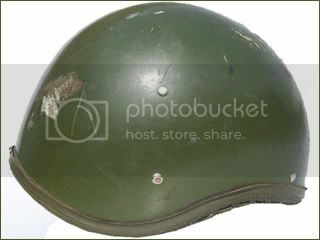 Introduced in the late 1970s this helmet is made of glass-reinforced plastic (GRP) with a plastic and nylon liner.